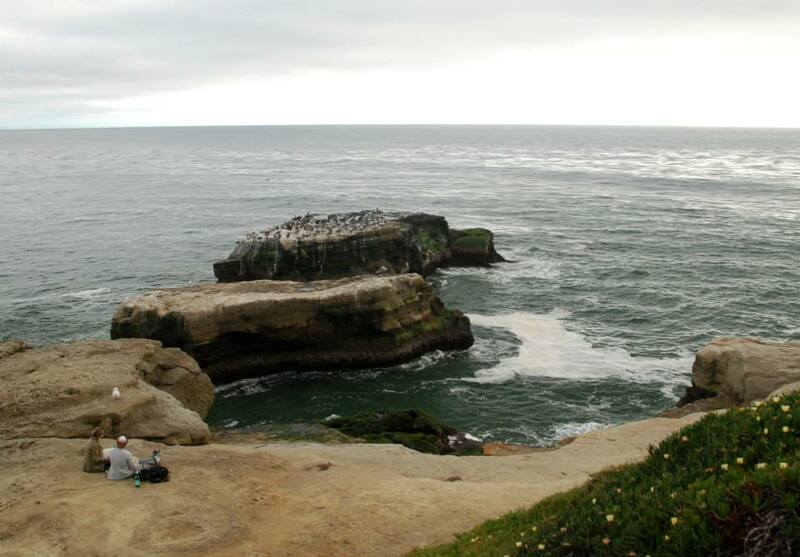 If you are an RVer cruising on the PCH near Santa Cruz this is a must walk/bike/jog. 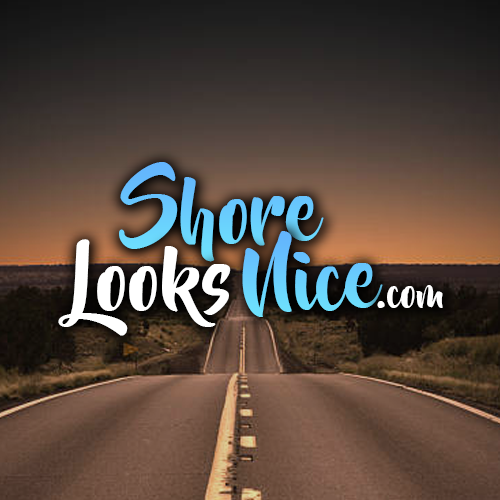 If you’re not an RVer and are looking for the most scenic walk/bike/jog near Santa Cruz, this is also for you. Make your way to West Cliff Drive. 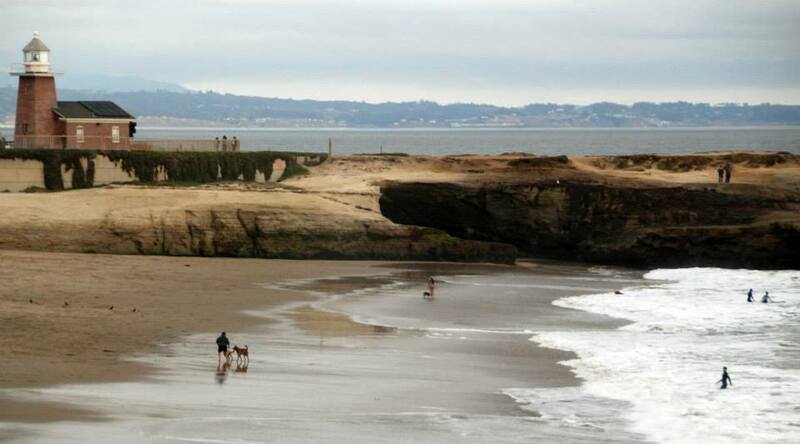 Natural Bridges State Beach is the place to start. 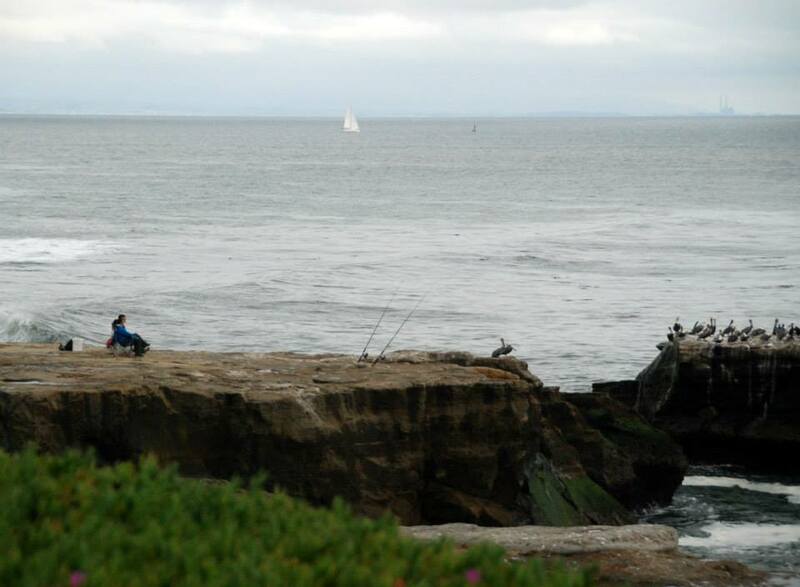 From here head south down the coast on W Cliff Drive 3 miles to Cowell. I saw RVers that pull their RV up for the day in one of the parking spots; then they walk, surf or do whatever activities they enjoy. 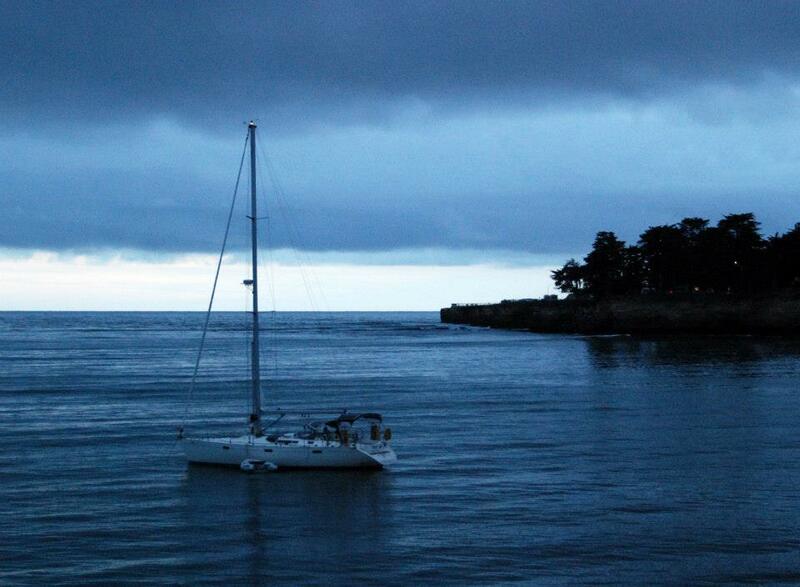 Fishing spots don’t get much more scenic than this. Walk along until you hit dog friendly Mitchells Cove Beach. 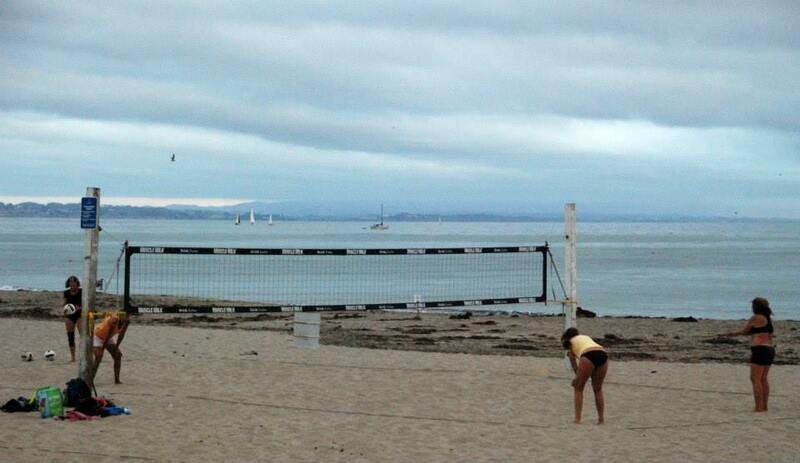 There were a lot of dogs running, swimming and chasing balls on this beach. 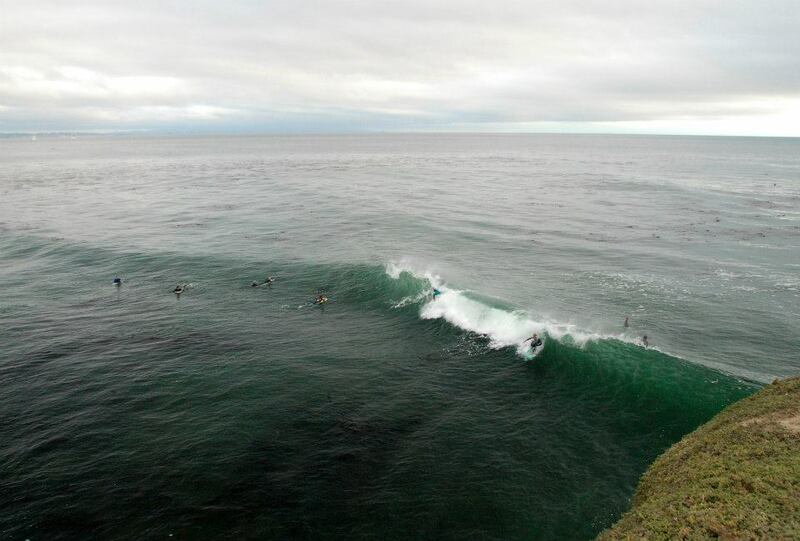 A few of the surfers and bodyboarders ventured out in the waters. 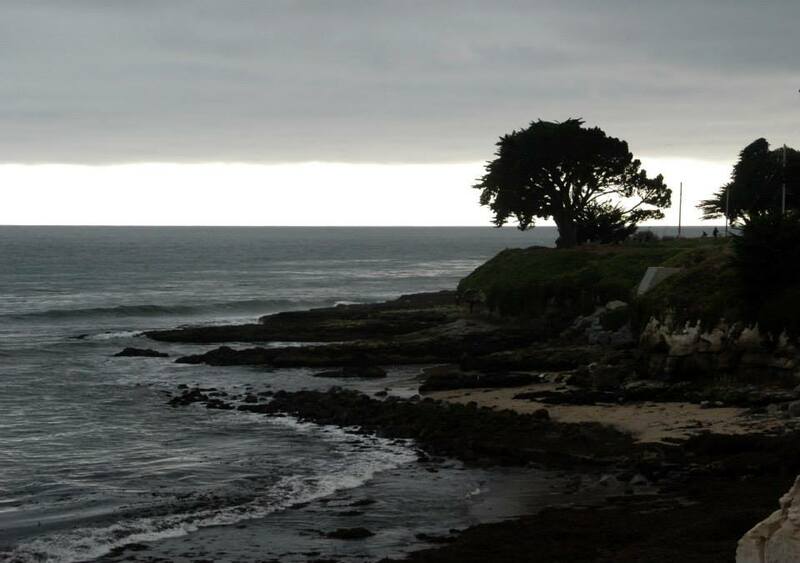 The Traveling Pomeranian and I should have surfed here rather than Cowell. 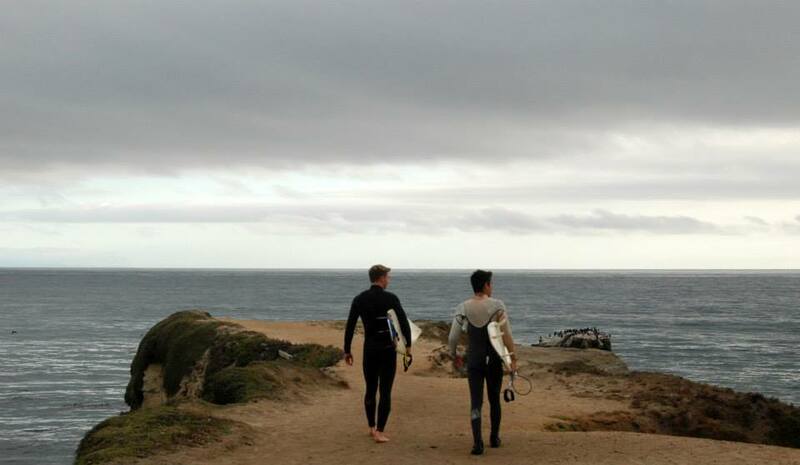 For the video of us surfing less than a mile away at world famous Cowell Beach click here. This lady was getting in her daily exercise with her hula hoop. 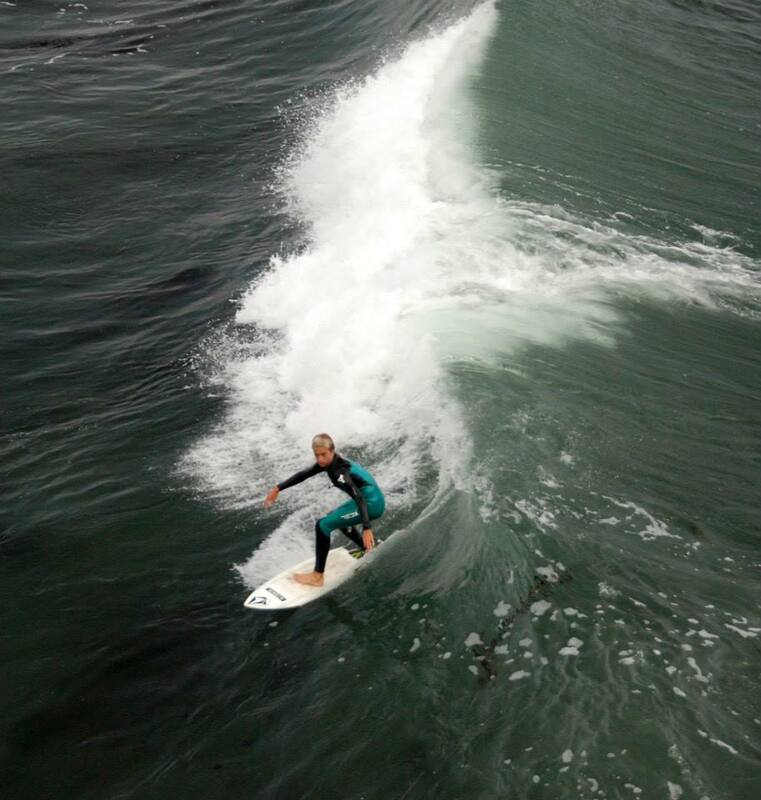 I first found out about this alternative way to get into the water while surfing Santa Cruz five months ago. I was in around sunrise hitting some waves when I saw a surfer up on the cliff. He threw his board in and jumped in. Then just started surfing. It was awesome! I wouldn’t try this if I wasn’t a local and knew when and where to jump in at. 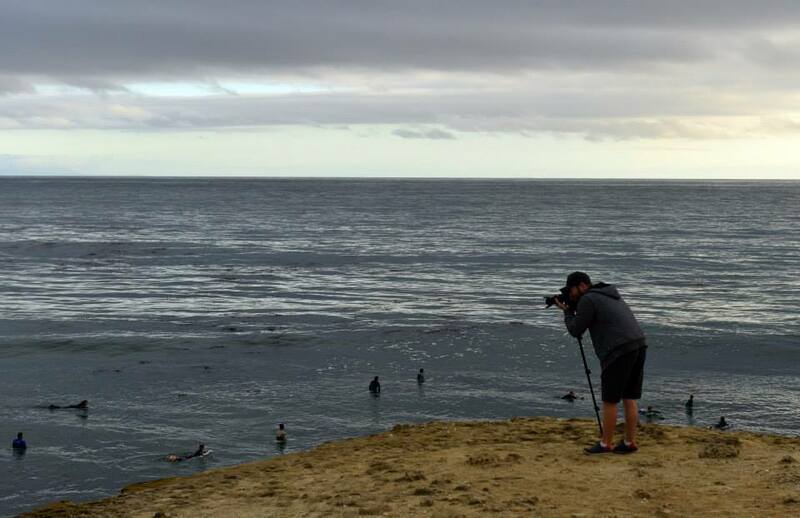 Over 60 people have died at this famous surf site. 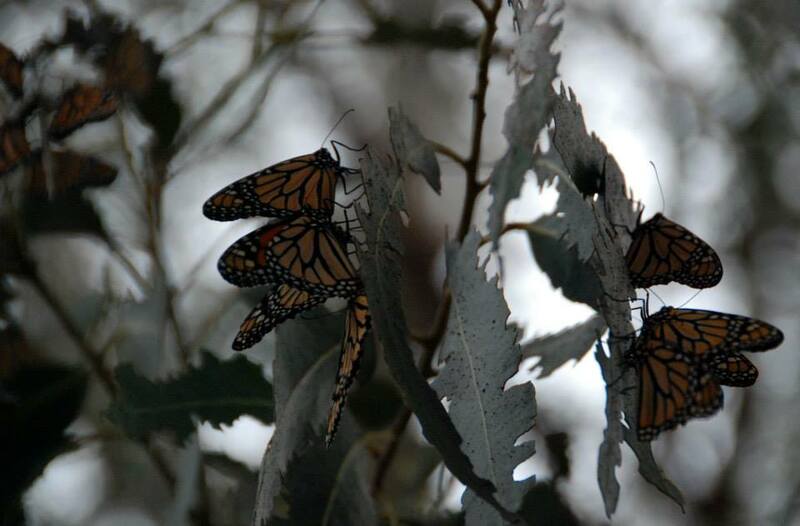 Want to see some butterflies? Head away from the beach in Lighthouse Field State Beach. Towards the end of October Millions of butterflies flock to this area. 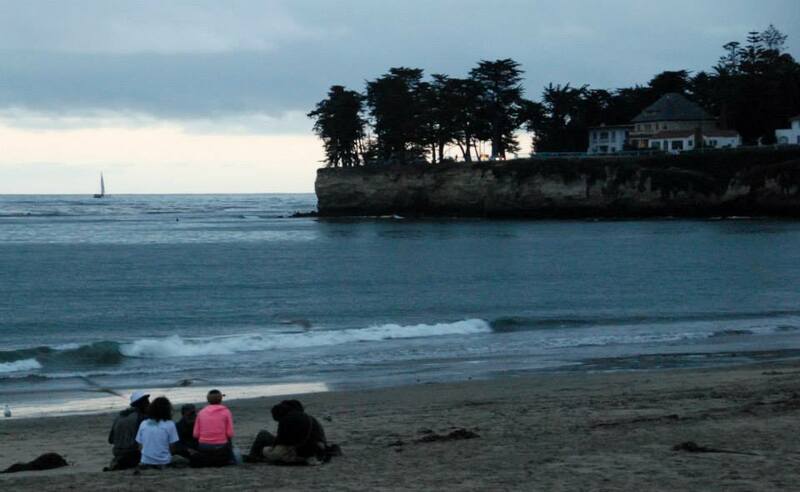 Walk across the street to Point Santa Cruz to watch the Surfers. 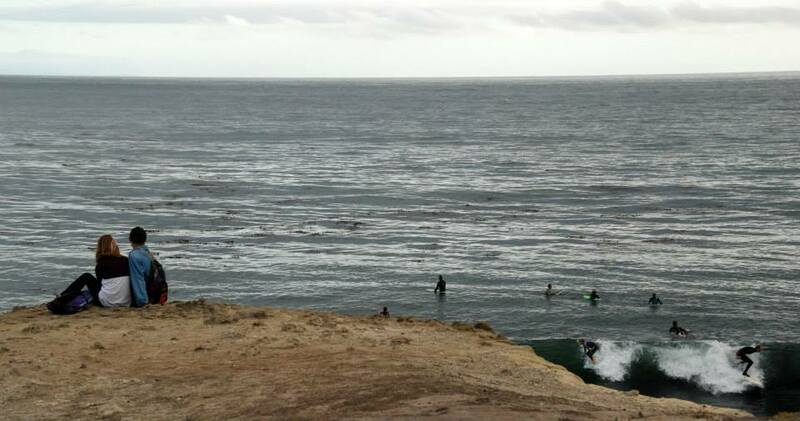 These surfers jump off the cliff on Seal Rock. 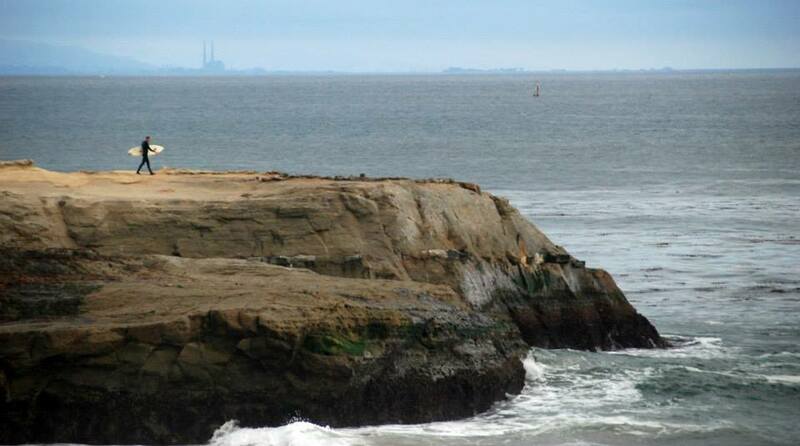 They surf right next to the rocks on the cliff. BMC Project Dirt is a group of professional mountain bikers. 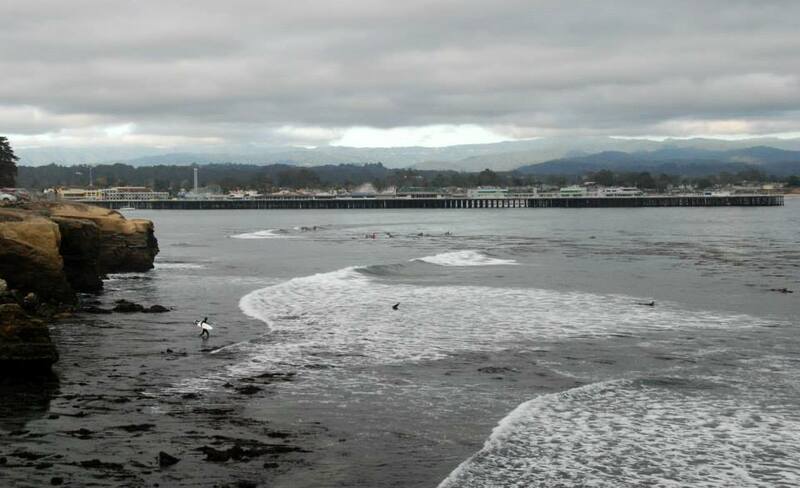 I happened to run into them surfing in Santa Cruz. This mom and young son really caught my attention. As they walked by they had a great conversation educating the son about the ocean. Then they leaped off the cliff to surf aggressively. I watched both of them catch waves and they really know how to ride. 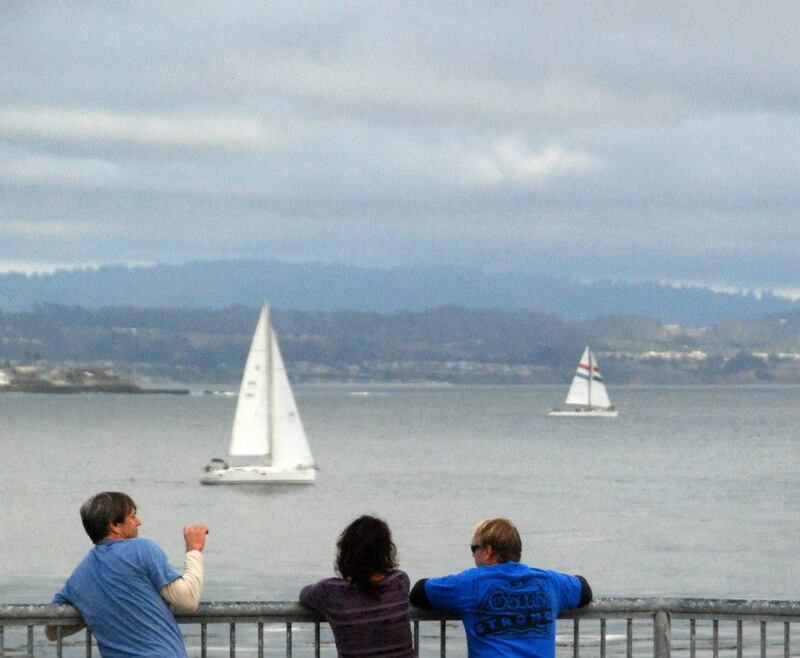 The view of Monterey Bay from Santa Cruz is incredible. It was really neat my end point of the entire walk is at the end of the pier just left of the sailboat. 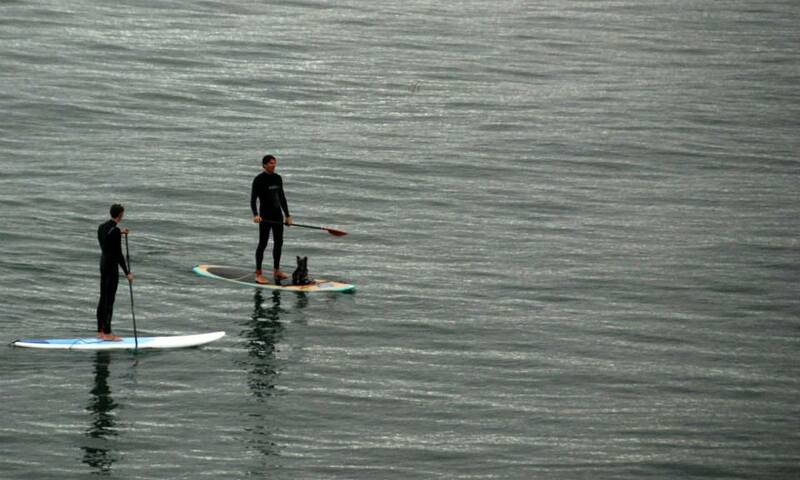 There is a little dog on this Paddle Board at Cowell Beach. 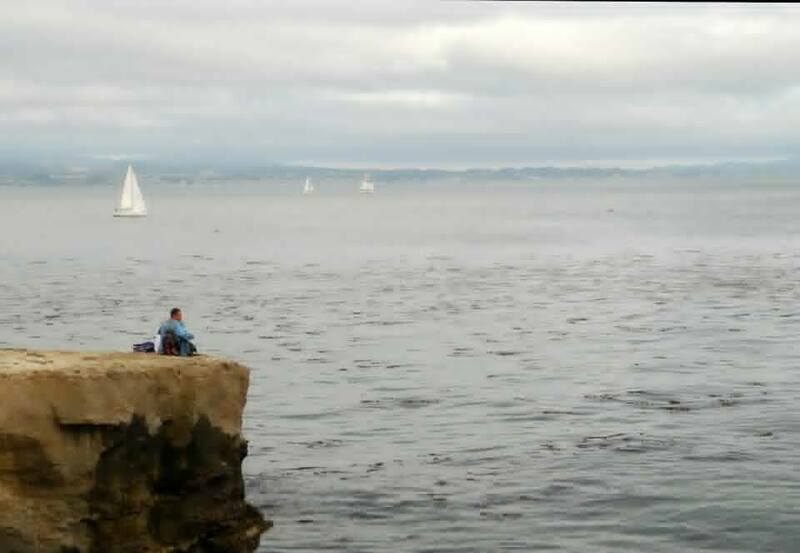 It’s so relaxing to sit back on the rock and watch the surfers. Stroll down till you hit the pier at Cowell Beach. This is a famous Pier with a bunch of great restaurants. 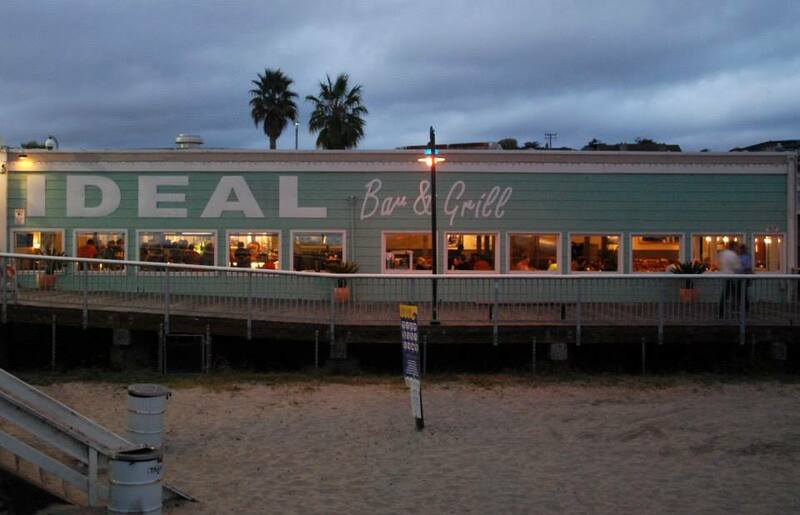 We ate for happy hour at IDEAL Bar & Grill. 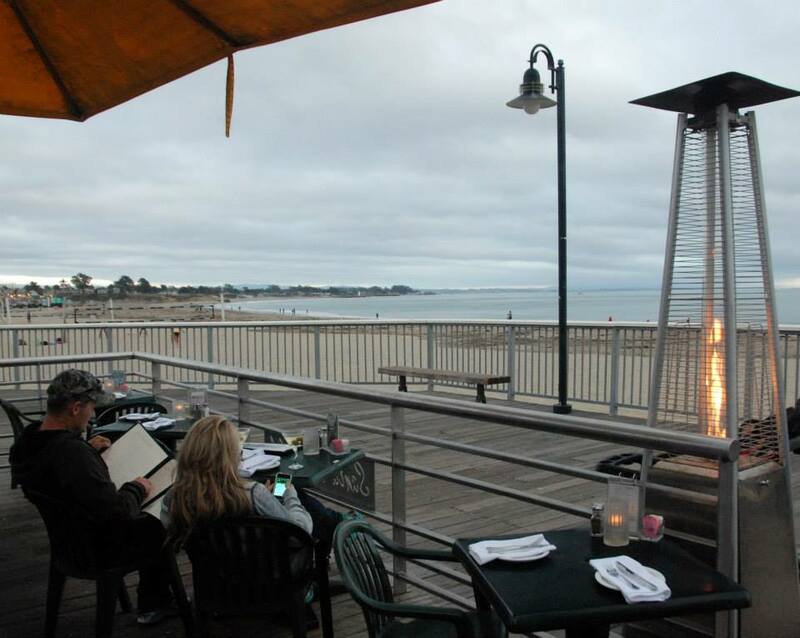 They had excellent Calamari and a fantastic outside area to enjoy the sunset overlooking Monterey Bay. I ran into these guys shooting a video for a clothing company Shalom. 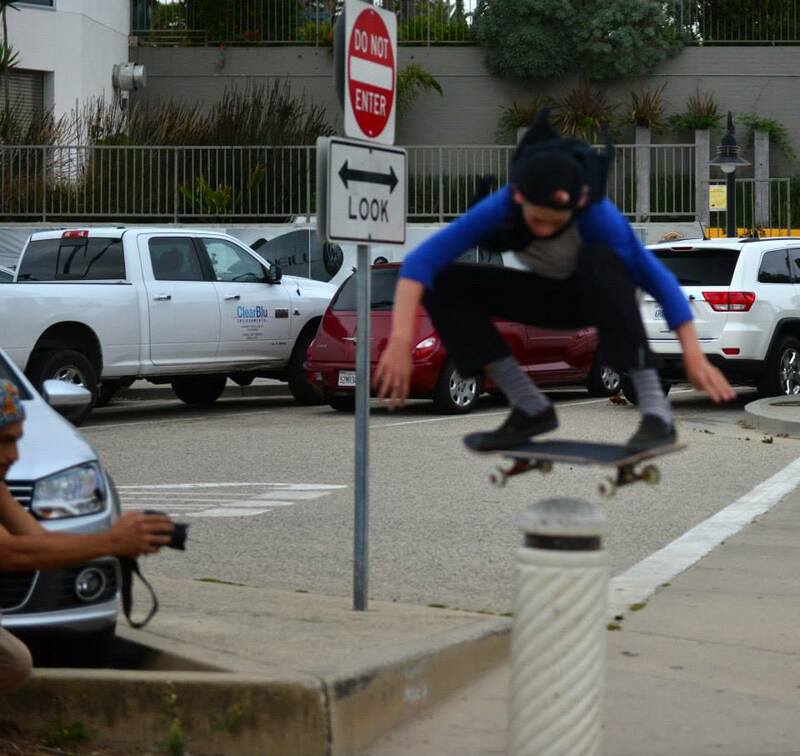 The skate boarder had incredible skills. There are a lot of restaurants on the pier. After happy hour at Ideal we ventured to the end of the pier to have some supper.